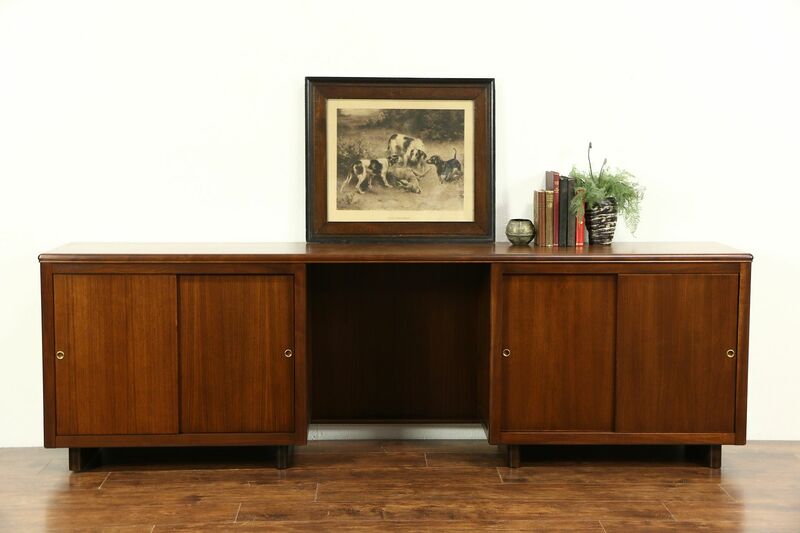 A Midcentury Modern executive credenza or computer desk from about 1950 was made by famous maker, "Leopold of Chicago," the matching desk is signed. Matched grain walnut has an excellent restored finish on this American made vintage office or library furniture. Measurements are 7' 8" long, 18" deep and 29" tall. The matching desk in photos is priced and sold separately, call or email for availability.